So said Boyce concerning Handel’s now notorious habit of incorporating music by other composers into his own works. But was such musical alchemy an unusual practice in the Baroque period? Not at all! Unlike today, when copyright laws aim to prohibit such ‘plagiarism’, many Baroque composers were pre-advocates for the Green Party, often recycling their material in their own works – and even apparently felt flattered when their colleagues used their musical ‘pebbles’ (without acknowledgment) in their own pieces. With some notable exceptions (including Bach and Handel), many eighteenth century composers seemed relatively unconcerned about securing a legacy. Penning a work back then was like crafting a piece of handmade furniture, far-removed from the Romantic notion of creating an original masterpiece. Like magazine articles, it was functional: in circulation for a few weeks or months, before being relegated to the archives in favour of something more current. Such a culture poses fascinating questions. What do we mean by an ‘Urtext’ edition? In how many versions can a single work exist, and how comfortable are we in accepting that some works are by more than one composer? Enter, the pasticcio. An Italian word for a ‘pie’ – or even a ‘mess’ – pasticci were popular theatrical entertainments throughout the Baroque era and beyond. They were concocted from various works, frequently by different composers, and sometimes in a mix of languages. 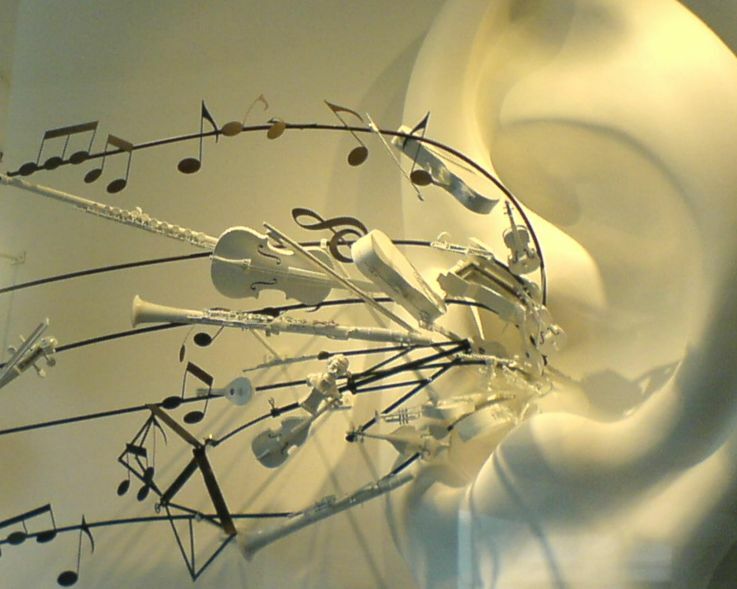 Recitatives were usually composed by the compiler (akin to the story-lines of Mamma Mia! or Jersey Boys) to act as compositional glue in linking arias in often disparate keys, and there was little concern about the musical authorship of such creations. At a time when singers (especially castrati) were the undisputed stars, these patchwork quilts enabled impresarios to attract the best performers with a catwalk of impressive arias. Plots were largely secondary concerns, and the bigger the stars’ egos the fewer the number of ensemble pieces. Singers themselves often insisted on performing their own showpieces – or ‘baggage arias’ – in these concoctions; the castrato Luigi Marchesi even refusing to appear in any opera unless he made his first entry on horseback while singing his favourite aria! But let’s not assume that such decadence is confined to the Baroque; not until Mahler’s legendary tenure at the Vienna State Opera at the turn of the twentieth century was the ‘baggage aria’ famously returned to sender. Casanova had its world première at London's Kings Place on May 6th, 2016 with the cast below. Praised by Opera as a 'witty pasticcio', it has also featured on BBC Radio 3 and been performed as the opening event of the Two Moors Festival, the JAM on the Marsh Festival in Kent and for Coram's annual Handel Birthday Concert. Libretto by Stephen Pettitt. Musical arrangements, recitatives and a teasing musical fake by Julian Perkins. Original cast: Augusta Hebbert (soprano), Anna Starushkevych (mezzo soprano), William Towers (countertenor), Ashley Riches (baritone) and Neil Summerville (narrator). Decoration from the Kaufhaus Beck am Rathauseck in Munich. © Mattes. 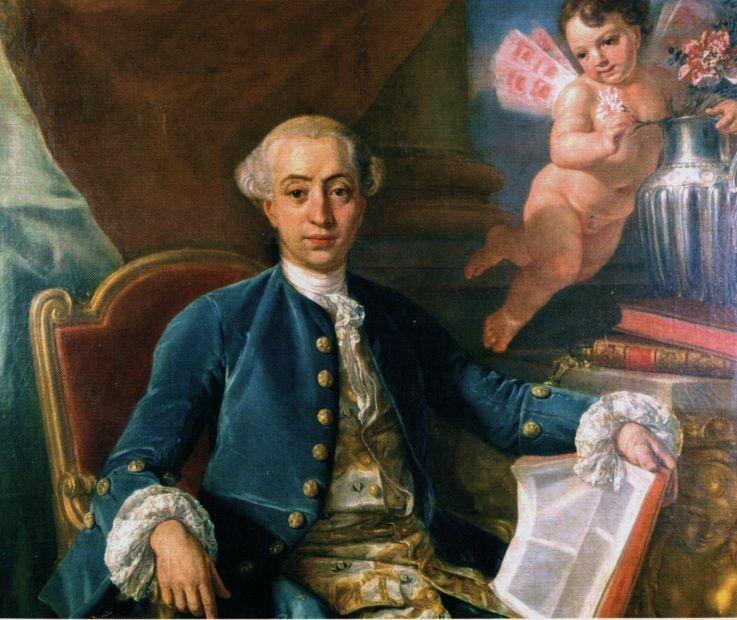 Portrait of Giacomo Casanova. Attributed to Anton Raphael Mengs (1760).